Dr. Chen offers both surgical and non-surgical treatment for skin diseases. With 40 years of clinical experience, Dr. Chen has helped cure skin diseases of all varieties for thousands of patients. Below are a few of the most common skin diseases in which Dr. Chen specializes. Psoriasis is a long-lasting autoimmune disease characterized by patches of abnormal skin. These patches are typically reddish, itchy, and scaly in appearance. Psoriasis can vary from small, localized patches to complete body coverage. Also known as dermatitis, eczema is a group of diseases that can cause inflammation of the skin. These are usually characterized by itchiness, red skin, and rashes. Short term eczema may appear as small blisters, while long-term eczema may thicken. Affected areas can vary from small to the entire body. 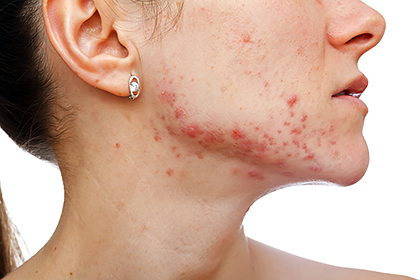 Acne is a common skin disease often found in adolescent teens to adults of all ages. It is characterized by pimples, blackheads or whiteheads, oily skin, and may result in possible scarring. Areas most affected are oily areas of the skin, such as the face, upper parts of the chest, and back, where there are relatively more oil glands. Early and preventative treatment is the best approach to reduce acne scarring. Three main types of skin cancer are basal-cell skin cancer, squamous-cell skin cancer, and melanoma. The first two, along with other less common skin cancers, are known as nonmelanoma skin cancer. Melanomas are most aggressive, with signs such as moles tha thave changed in size, shape, and color, have irregular edges, have more than one color, or are itchy or bleed. Early treatment and preventative care are extremely important. Phototherapy and Extrac laser are a common method of treatment for psoriasis, eczema, and vitiligo. 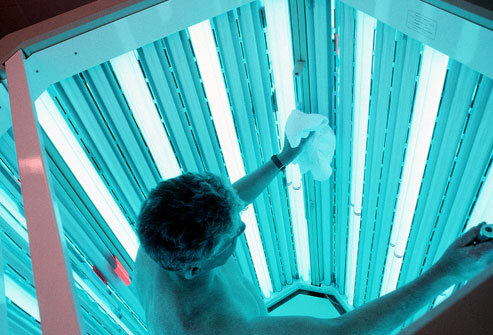 Using narrowband ultraviolet B (UVB) light, phototherapy is often medically used to reduce itch, calm inflammation, increase citamin D production, and ramp up bacteria-fighting systems in the skin. Have a question for Dr. Chen? Call today to book an appointment. Copyright © 2019 Tommy H. Chen, M.D.